Snap clamps hold lid securely to tank. Automatic liquid or foam shut-off. Seamless, molded linear polyethylene tank, noncorrosive. 8″ semi-pneumatic rear wheels and front swivel casters. filters (liquid shutoff assembly is optional with wet/dry filter). The Minuteman x839 H.E.P.A. 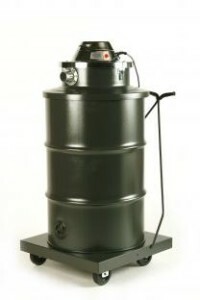 Vacuum Series is available with polyethylene, stainless steel or painted tanks to best suit your needs. This series is easy and economical to use. The Tanks: Standard as dry only units, all 15 and 55 gallon vacuums have wet/dry recovery capabilities with an optional 1:1 adapter and water shut-off. The 55 gallon vacs are equipped with a painted tank, dolly and handle for easy maneuverability. The Lid Assemblies: Three separate vacuum motor assemblies, with waterlifts of 85″, 105″ and 130″ can be matched to several tanks to customize the units. Minuteman H.E.P.A. (High Efficiency Particulate Air) filters feature an exclusive high tensile strength surface membrane co-poly laminated media for increased durability. A seamless, lightweight aluminum filter housing eliminates potential problems. U.L.P.A. & H.E.P.A filters availalbe on certain models.